Welcome to AMEND's children's area! AMEND’s children’s resources were produced in 2013/2014 as part of Project Superhero!, which was made possible thanks to a 2-year award from the UK Big Lottery Fund. Our aim was to produce resources that could be easily understood by children as young as 5 years of age. 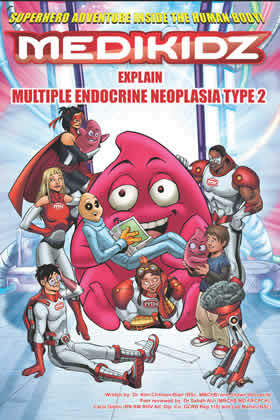 Our cartoons and comic books can be used to help the youngest of patients to understand a little about their condition, and why hospital tests are needed, and also to help unaffected siblings to understand what their brother, sister or parent is going through. In addition, parents often need help to try to explain the conditions, and this is why we developed a leaflet together with UK experts in the subject. 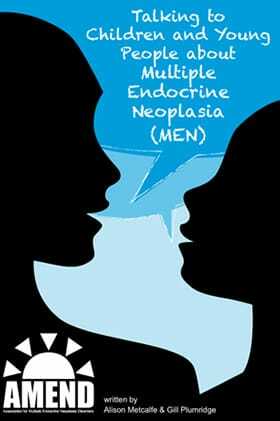 All our resources are free to patients. 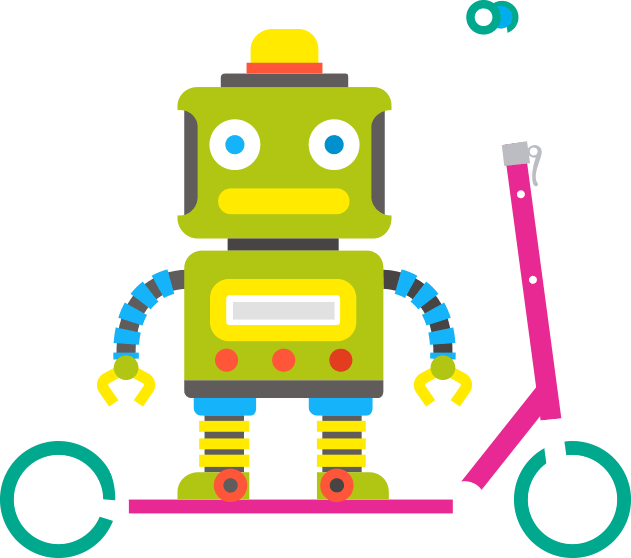 Our kids’ resources have been endorsed by the Society for Endocrinology, the UK & Ireland Neuroendocrine Tumour Society, the British Association of Endocrine and Thyroid Surgeons and the British Society for Paediatric Endocrinology & Diabetes. Daniel has MEN1 and Lisa has MEN2. With the help of their pet cats and animated friends, they explain their conditions simply. 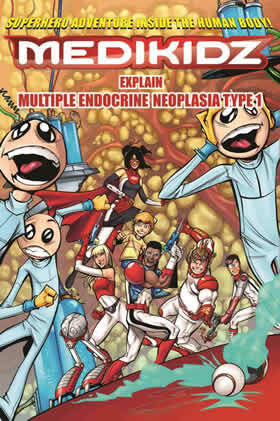 Using stories from real-life young patients, these comic books are colourful and beautifully illustrated to help explain MEN1 and MEN2A & B in a little more detail than the cartoons. Hard copies can be ordered for FREE from AMEND and are sent automatically to new members. Visit the Centre of the Cell website to play games such as ‘Explore a Cell’, ‘Build an Organ’, ‘Organ Surgery’ and ‘Genes and Your Cells’. Centre of the Cell is an educational resource for children run by Queen Mary University of London and Bart’s and The London School of Medicine & Dentistry.